I'm 17 Iv played soccer for 12 years and can play any position very good but i would like the coach to see were i'm best at. I was meant to go to england in september for some pro tryouts but couldnt afford it. I would love to come and trial for your team i know ill make a difference. My name is Miguel, I am from Spain. I have played football most my life, I have played top competitive football during my childhood back in Spain and also I have played in 2nd division in Sweden in 2013. My position is centre forward but I can play as well: striker, left/right wing or in the midfield being always offensive. Also I can help as a assistant coach to develop skills, with strategies and helping the other soccer players to become winners. My idea is to become as well a future coach to keep helping the young generations. I am ready to commit with a soccer team for a future full of new opportunities. Hi there, I am in Gold Coast and would like to play soccer regularly. Any day of the week is fine. I am very keen to keep fit and make new friends. Please contact me if you need players. Thank you. Just moved to QLD now looking for a womens soccer team to play in the 2011 comp.Im 32 yrs old .I have played 1st grade (prem league) soccer in ACT/NSW since I was 16yrs old ,I play center mid .Im hoping to move to the Brisbane city area in the next month or so so a comp in this district would be best .I have had a year off soccer while I settled into my new job but am now looking forward to getting back into the game. Please contact me if you can help. Cheers. Burleigh Heads Soccer Club caters for various levels of Senior Mens competitions, plus boys and girls from 5 to 18, and over 35's and over 40's. 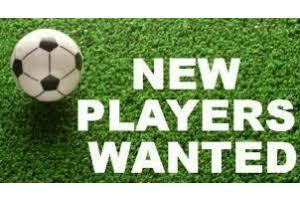 Please contact us for further information regarding soccer in all age groups on the Gold Coast. Played high level in both outdoor footbal and futsal. Would like to play weekends but ipen to all competitions .